Ocean Protection Advocacy Kids, Inc. (OPAK) has only been a partner with the EarthEcho Water Challenge for a few months, but we are super grateful for the invitation. The past few months have been full of community events and school workshops where we have had the opportunity to spread the word about the importance of water quality testing and the need to build public awareness around clean water. Here are some of our favorite moments using EarthEcho kits, as well as, some events we are looking forward too! 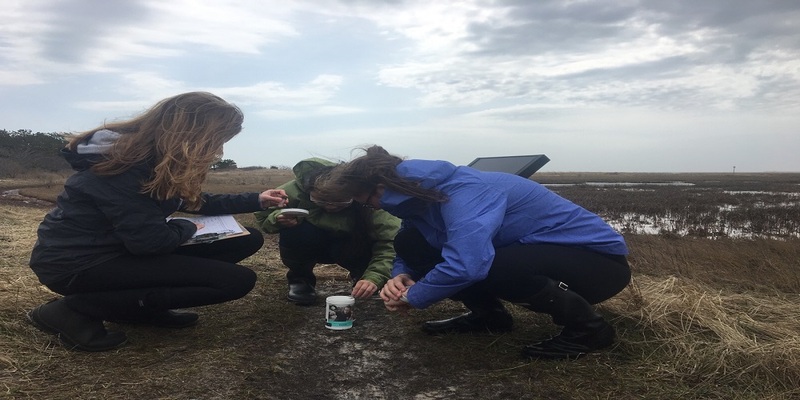 Monomoy Regional High School: On a very windy spring day on Cape Cod, we took 20 high school students to three different locations to collect plankton samples. The health of plankton are dependent on the quality of the water, so we took our EarthEcho Kits with us to test the water in every location we collected plankton from. Our students were so proud to be the very first people collecting data with EarthEcho in all three locations. We even found some really cool plankton in the process! Cambridge Science Festival: We take our EarthEcho kits with us to all of our community events to raise public awareness. At events, many people ask how we monitor water with our students, so we display our equipment at our table. At the Cambridge Science Festival, we had over 700 people visit our table to learn about advocating for our ocean! World Oceans Day: On June 8th we will be taking 140 Cape Cod 7th grade students for a massive beach cleanup in celebration of World Oceans Day! During the cleanup we will be collecting water quality data on site using our kits. We are so excited for this event and it will be such a great way for local Cape Students to become ocean advocates! OPAK Sumer Programs: This summer we will be taking 26 students out on a mission to become Jr. Ocean Detectives. The entire day will be dedicated to monitoring water on Cape Cod and learning about the marine creatures who depend on it. This summer we will also be running weekly workshops a Chatham Bars Inn that we call Plankton & Plastics. With this program we will be collecting plankton and water quality data with EarthEcho in the same location. It will be interesting to see if the data changes throughout the season! Thank you EarthEcho for making such a positive impact on our students! We are so excited to share more of our adventures with you soon. Editor's Note: Melanie Colby is the President and Curriculum Director of Ocean Protection Advocacy Kids, Inc, an EarthEcho Water Challenge partner. To learn more about OPAK, visit: www.opakedu.org.